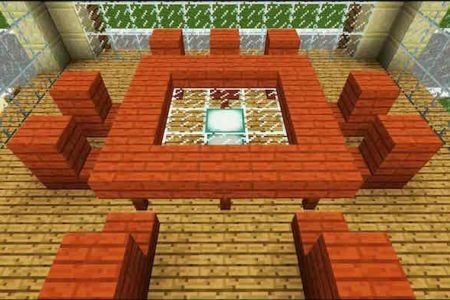 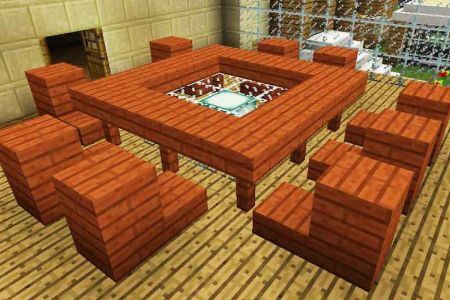 Discover awesome ideas for Minecraft Dining and Living Room Furniture options including a photo gallery. 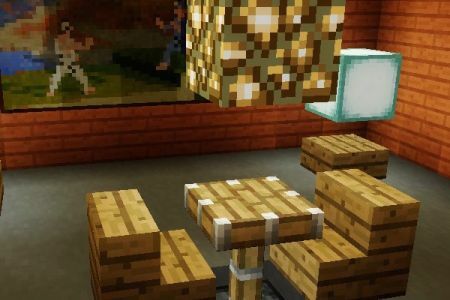 The Minecraft dining and living room furniture gallery showcases ideas for chairs, couches, and tables. 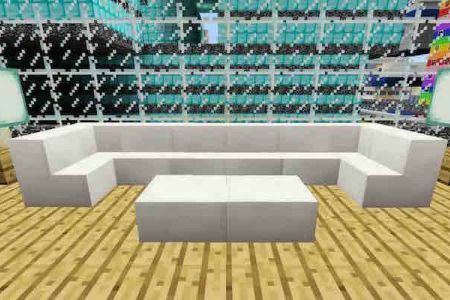 These will keep your seating arrangements looking awesome and give your rooms a fun look and feel. 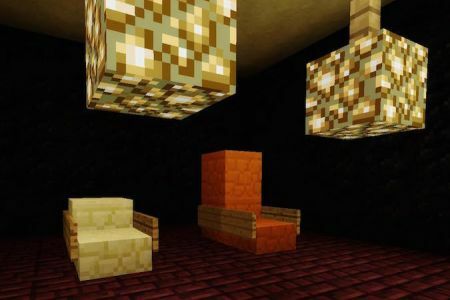 Use our galleries below as inspiration or use the ideas to fill your builds with deco. 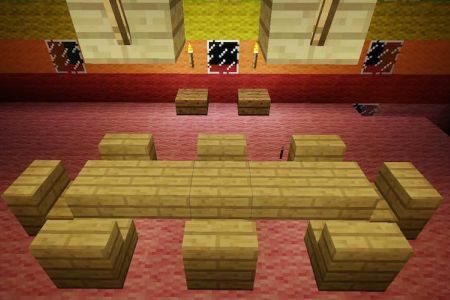 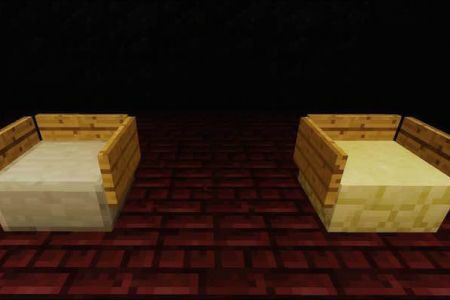 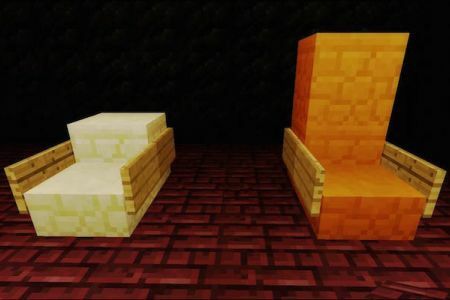 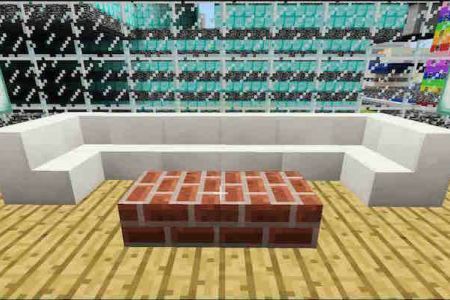 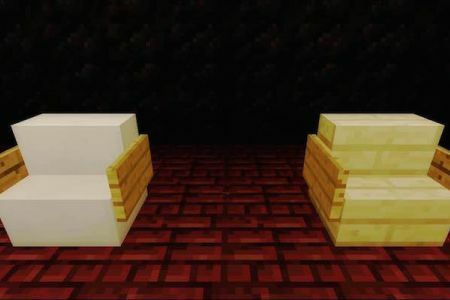 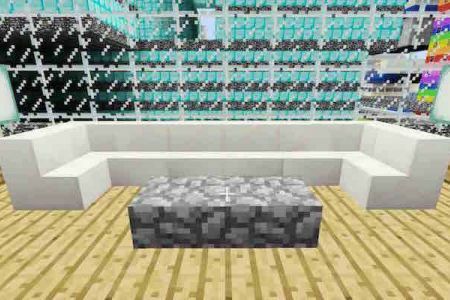 Check out our Minecraft Seating designs and add a little spice to your rooms. 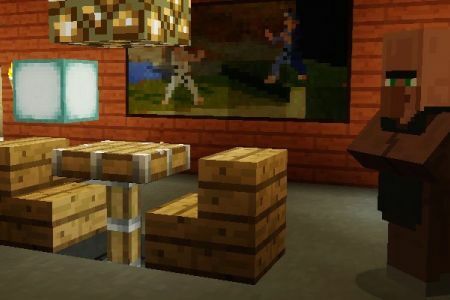 Minecraft can be a bit of a “simple” game in its features, which is a part of its charm. 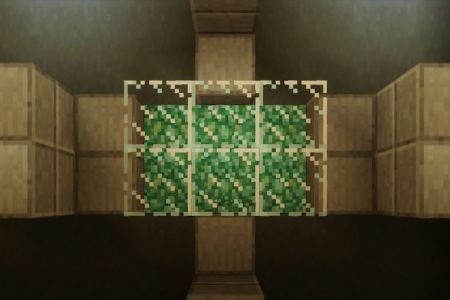 It is also a very creative game because of its simplicity, making you use your imagination to build what you want. 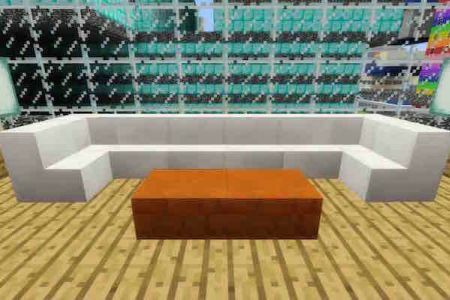 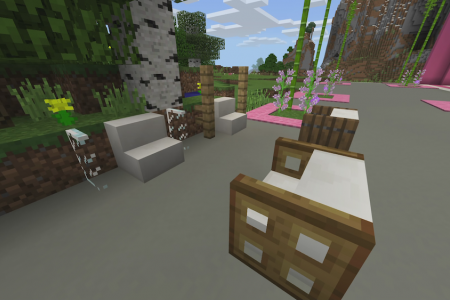 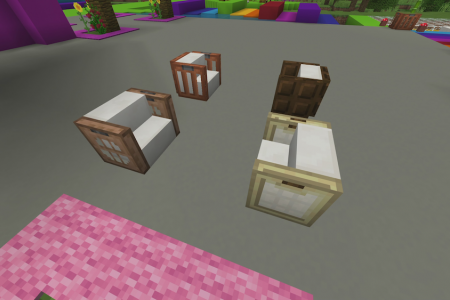 It is no different with Minecraft seating, there are tons of ways to make stylish furniture using items in the game. 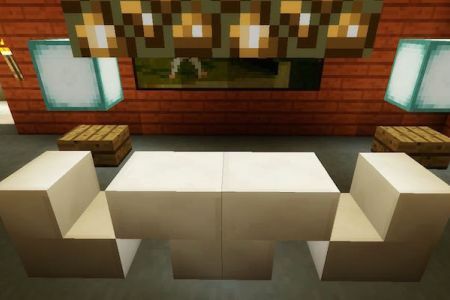 They are showcased in the Minecraft dining and living room furniture gallery below. 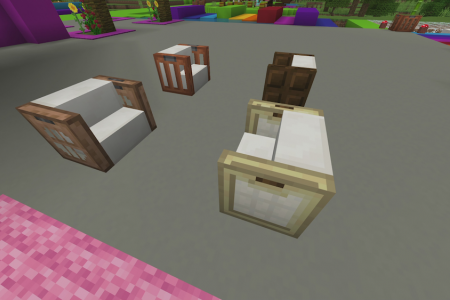 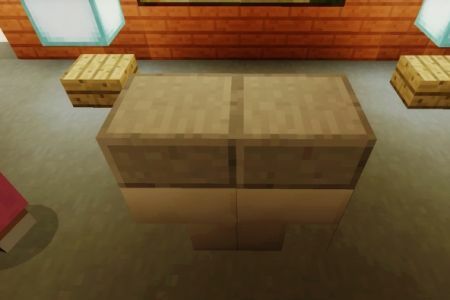 Finding different Minecraft Table styles is important if you get tired of using the same old slab to create a table. 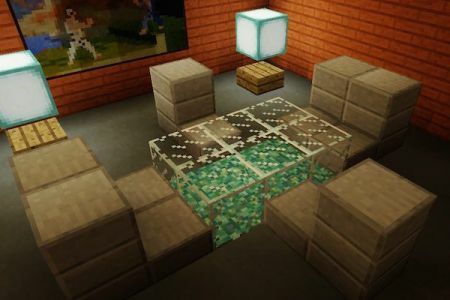 Even if you just want to find inspiration to create something a little more fancy, the gallery below should help you out. 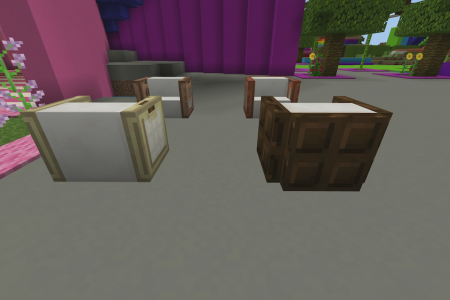 These designs are things I’ve used in my own personal Minecraft builds so it is not the only styles out there. 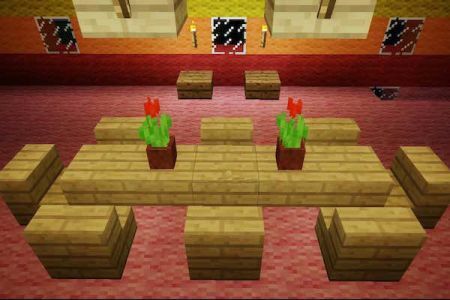 I’m certainly drawing on inspiration I have received from seeing other people’s builds as well, and hopefully my creations can do the same for you. 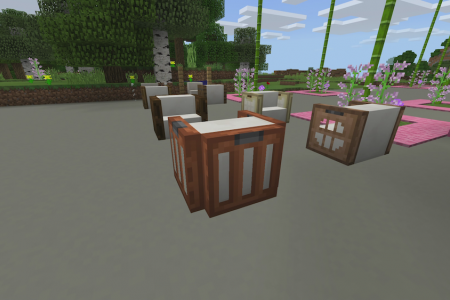 Check out the Minecraft Bathroom Furniture in the gallery and get inspired to decorate your bathrooms.